Marvel at the relentless power and beauty of the White Water Walk and see how the deep and narrow Great Gorge was created. Trillions of gallons of water are forced into this accelerating trough. 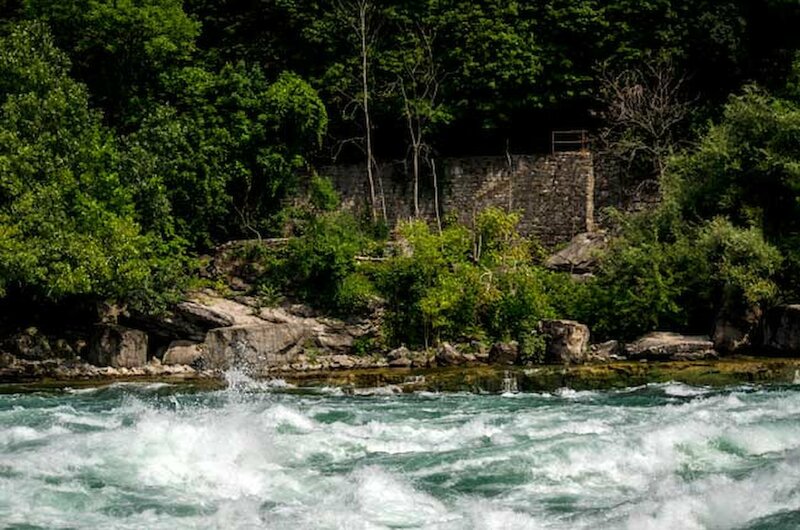 Discover Raging White Water! 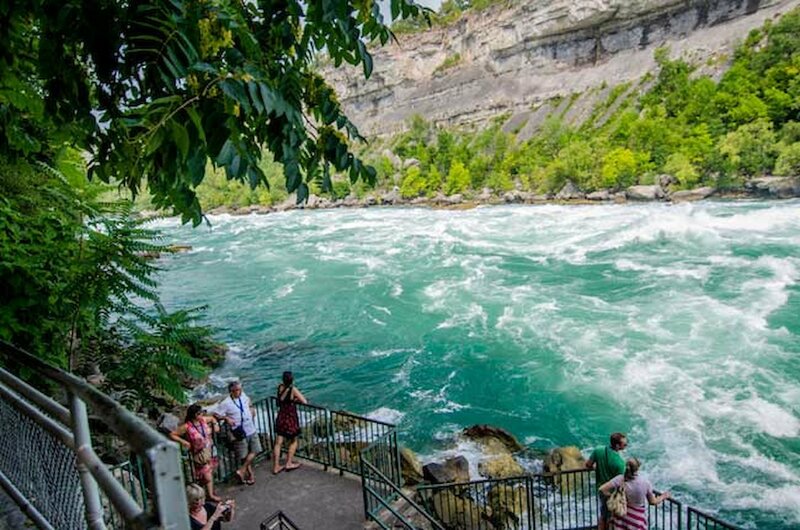 The White Water walk is like no other, along a boardwalk at the very edge of one of the world's wildest stretches of whitewater! Marvel at the relentless power and beauty of nature and see how the deep and narrow Great Gorge was created. Trillions of gallons of water are forced into this accelerating trough - the sight will take your breath away! 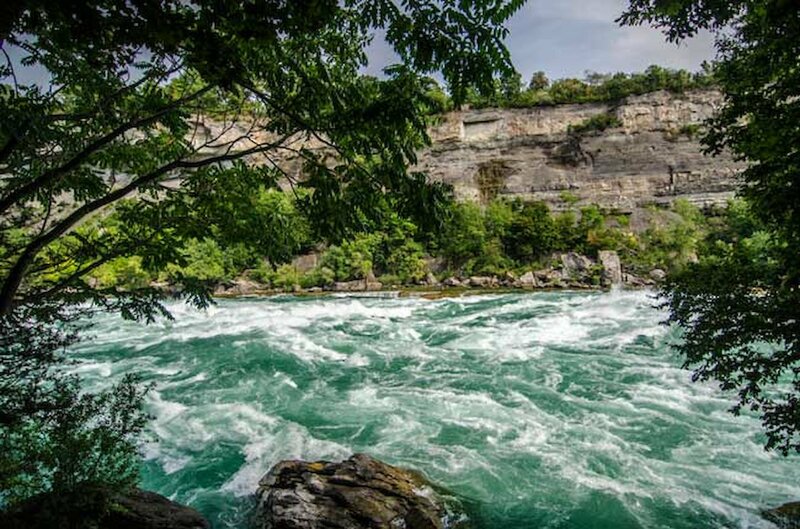 White Water Walk is a mere 4 km north of the Falls, on the WEGO bus route, near the Whirlpool Bridge. Within walking distance of the Niagara Falls Ontario train and bus stations. Free parking available. This attraction is wheelchair accessible except for 2 small viewing areas which are reached by stairs. At White Water Walk, you'll ride an elevator down 70 meters, then walk along a tunnel that is 73 meters long. 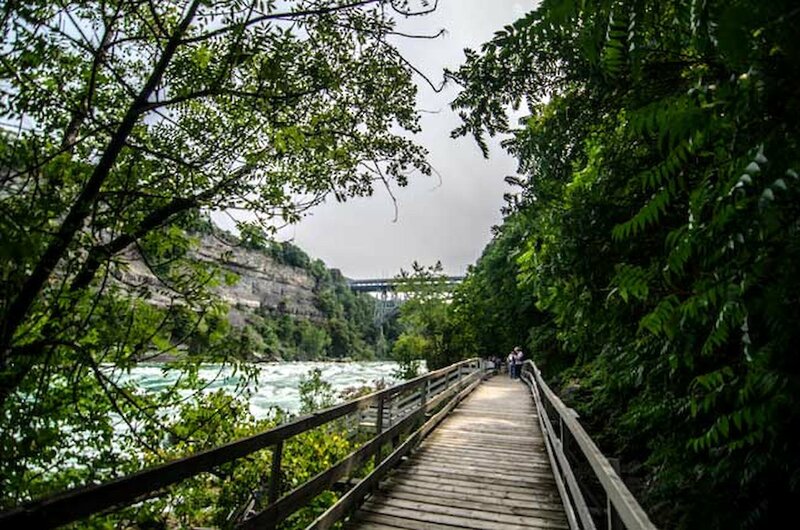 The Boardwalk beside the rapids is 305 metres (1,000 feet or ¼ mile) and stairs lead to two observation areas at the edge of the River.